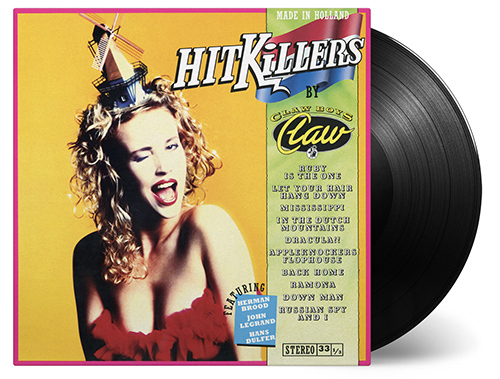 Hitkillers is the fourth album by the Dutch rock ‘n’ roll band Claw Boys Claw. It’s an album with 10 covers of Dutch song hits. The album features collaborations with different artists like Herman Brood, Tineke Schoenmaker and John Legrand. The first track Ruby is the One is a classic by the progressive rock band Earth and Fire and the fourth track In the Dutch Mountains is one of the finest songs by The Nits. Other songs featured on the album are Back Home (Golden Earring) and Appleknockers Flophouse (Cuby + the Blizzards). Hitkillers can be seen as another great album by the Dutch band in which the energetic performances by Peter te Bos and John Cameron are tangible in the songs. With their outstanding stage performances Claw Boys Claw build up a reputation as a live band. They released over 10 albums and are still alive and kicking.